What do you know about the dinosaurs that used to roam across BC? 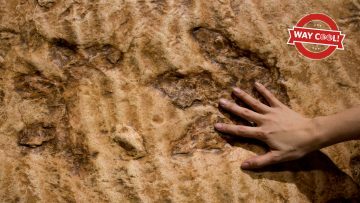 How do scientists use trackways and other fossils to learn about dinosaur behaviour? Join the Peace Region Palaeontology Research Centre’s (PRPRC) Museum Director & Curator of Palaeontology Richard McCrea and Curator & Collections Manager Lisa Buckley to learn all about the cool things we know about how dinosaurs lived through track discoveries, including group behaviour, predator-prey interaction, and even choosing mates! Richard T. McCrea, B.Sc., B.Ed., M.Sc., Ph.D. Rich’s primary field work is on fossil track sites in Alberta and British Columbia, but he collaborates with many other colleagues on fossil track sites from around the world. Rich has also been leading the excavation of British Columbia’s first dinosaurs. Lisa G. Buckley, B.Sc., M.Sc. Ph.D. Lisa has many years of dinosaur excavation and preparation experience from digs in both the United States and western Canada. Lisa’s current research deals with shorebird anatomy and tracks and their implications on interpreting fossil avian tracks.